1.5.1 System process is achieved by DOS control system. In this system, valves switches are independently controlled by PLC (Programmable Logic Controller). Analog signals of test sensors communicate with the main control system through specific communication protocols. Relevant data of specific unit can be sent to main control system and remote control signals of main control system can be accepted by specific unit. 1.5.2 In order to ensure safe oxygen supply, functions of interlink, protection, alarm, print, record etc can be provided. 1.5.3 The output variation of oxygen supply can be adjusted by DCS control system. System operating parameters can be adjusted to save energy. 1.5.4 The main control system adopts industry computer, provided with specific software and convenient human-machine touching screen, Start/stop and operating parameter collection can be realized on control panel. Remote monitor and print of running status record can be easily achieved. Looking for ideal VPSA Generator Plant Manufacturer & supplier ? We have a wide selection at great prices to help you get creative. All the On Site Oxygen Delivery are quality guaranteed. 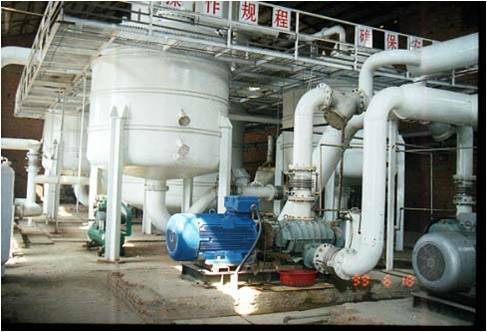 We are China Origin Factory of VPSA Vacuum Pressure-swing Absorption. If you have any question, please feel free to contact us.